Think you've got the skills to take down World of Warcraft's Mythic Dungeons? You could win part of a $100,000 prize pool. Blizzard made World of Warcraft's PvP into an esport a while back, but the PvE side of the game has always been an informal sort of contest. Instead of tournaments, it's contested between guilds racing for world first kills, or the fastest raid clear times, or whatever other metric is in vogue at the time. But Blizzard is looking to make dungeon clearing is about to become a whole lot more lucrative, at least for those who are the best at it. 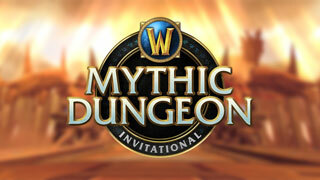 In a post on the World of Warcraft site earlier this week, Blizzard announced that it is launching a new competition: The Mythic Dungeon Invitational. This new tournament challenges potential competitors to put together their best team, and spend two weeks (from July 25 to August 8) competing in a "proving grounds" event. During that time, they'll work to post the highest scores possible in Mythic Keystone dungeons. At the end of that time, the top 8 team s from four regions (Americas, Europe, China, and Asia-Pacific) will advance to a 32-team tournament. Those teams will compete in a series of elimination rounds to determine the top two teams in their region. Those final eight teams will go into a single-elimination bracket and compete for their share of the $100,000 prize pool. Blizzard plans to broadcast all the action on its Twitch channel, so if you want to see how the best dungeon groups in the world operate, you'll be able to tune in. If you're interested in participating, or just want more info, you can find it over on the official World of Warcraft site.